Officers approached truck thieves who tried to back over their bikes. 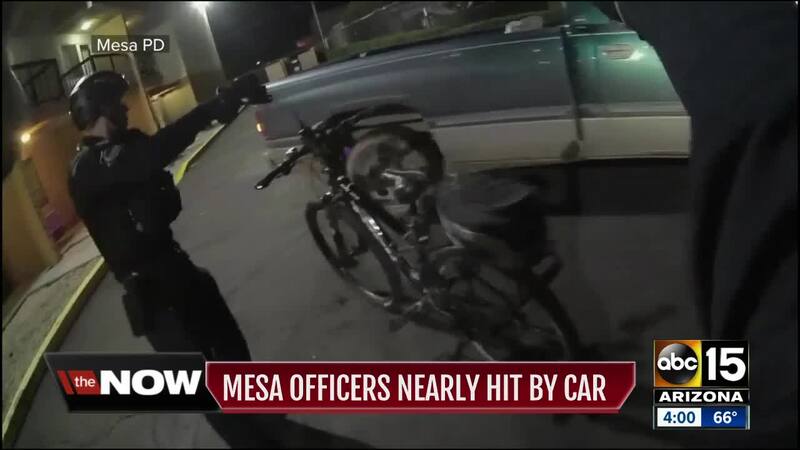 MESA, AZ — Mesa police are looking for three suspected truck thieves who tried to run over a group of officers. On February 6, officers with the Mesa police bike unit stopped the suspects, two women and a man, near Alma School Road and Main Street. 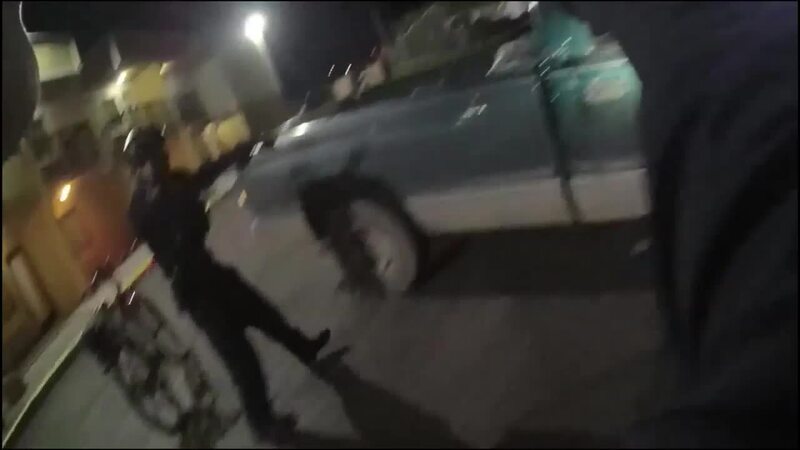 When officers approached the truck, the driver started to make a getaway by pulling out of the parking lot, nearly hitting the officers several times. The officers were able to get out of the way before the truck rolled over their bikes, slammed into a parked car, and took off eastbound on Main Street. The suspects' vehicle is described as a green/gray, 1999 single cab, Dodge Ram 1500. The officers were not injured in the incident. Police are asking anyone with information or anyone who may have witnessed the incident to please contact the Mesa Police Department.